Maren, born in the home of the Cincinnati Reds, lived in Pittsburgh when the team included Roberto Clemente. It's been a great life. Roberto Clemente was one of a kind. 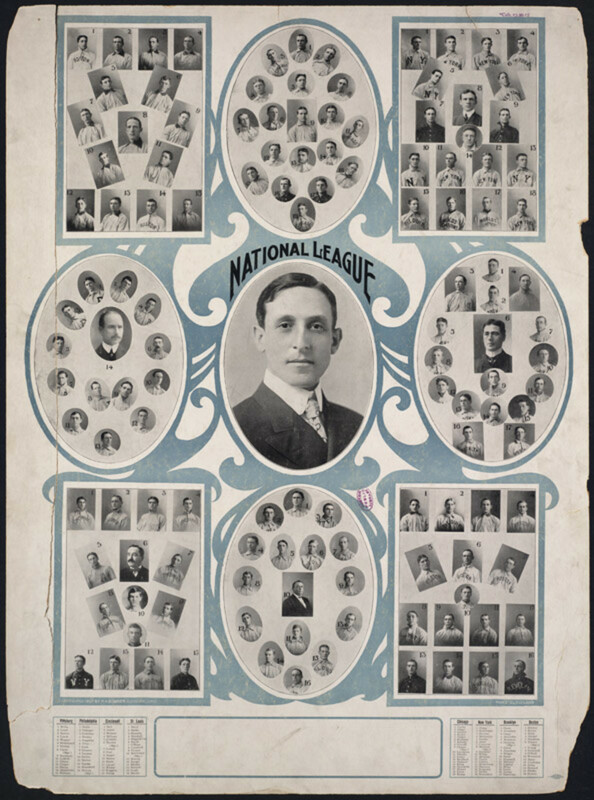 He contributed to major league baseball’s successful integration of Latino players long before the United States had its current sensitivity for multiculturalism. 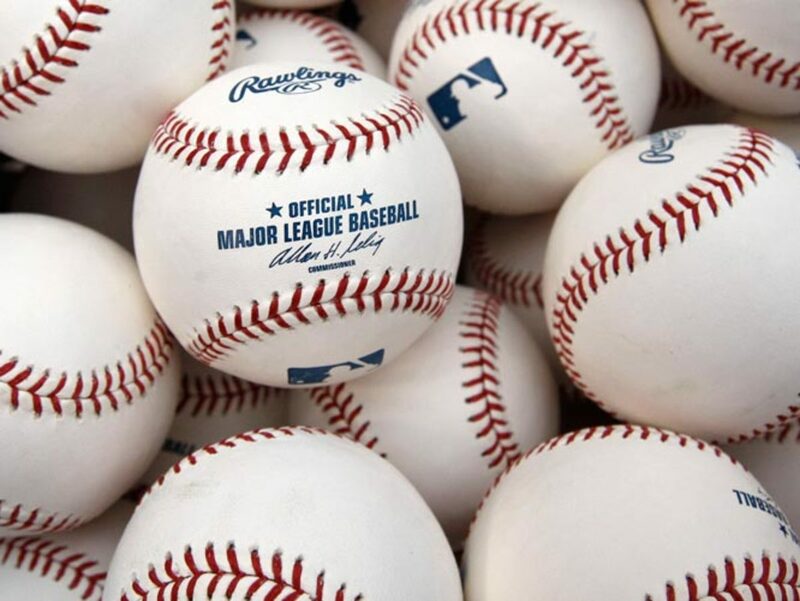 He worked hard at his craft – playing baseball - neither illegally enhancing his ability with drugs nor jockeying around various teams in order to get the biggest paycheck. (His entire major league career was with the Pittsburgh Pirates.) Clemente had a heart and soul which called him to help others in need. He was the sort of man that anyone would have wanted as a brother or a neighbor. Humble beginnings mark Clemente’s life. He was born Roberto Clemente Walker on August 18, 1934 in Barrio San Anton in Carolina, Puerto Rico. Roberto was the youngest of 7 children and knew the meaning and value of hard work. His father, a blue collar worker, served as a wonderful role model. Family friends have told the story that when Roberto was a child, he wanted a bicycle very much. So he did chores for a neighbor and earned 2 cents a day, saving those earnings until he had $20 to buy the bicycle. 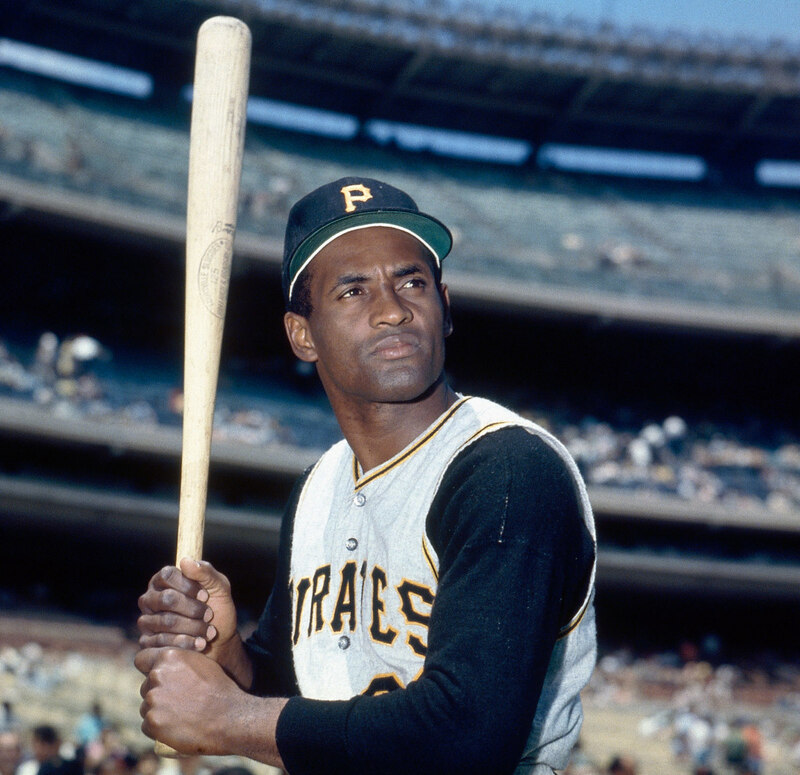 Clemente excelled in track and field, and baseball during his school years. 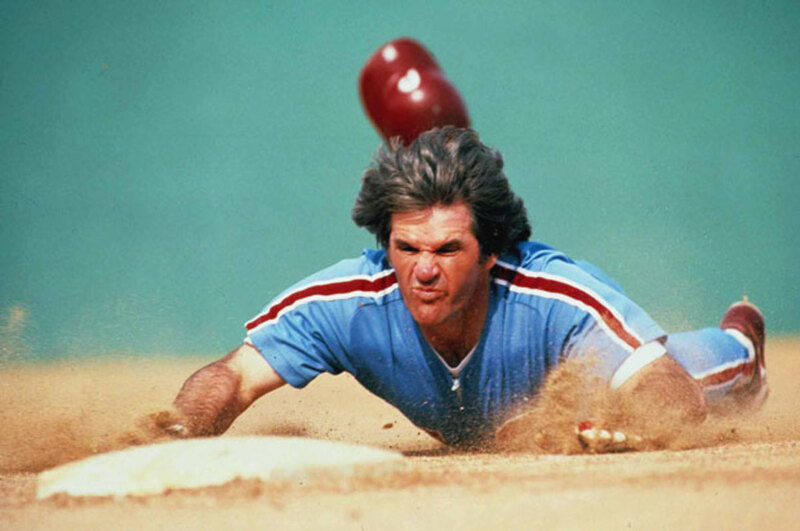 Unquestionably, though, his real love was baseball. He played amateur baseball with Juncos Double A Club in Puerto Rico. Roberto did not attend college, but he did have a short stint in the Marines. He then progressed to play with the Santurce Crabbers in the Puerto Rican Winter League. From Santurce, in February 1954, he signed with the Brooklyn Dodgers to go to one of their farm clubs. At their spring training, the Brooklyn Dodgers realized what a gold mine they had in Clemente and did their best to hide him from the scouts of the other major league teams. In 1954, the “bottom of barrel” Pittsburgh Pirates team had the first pick of the players draft. Despite the Dodgers' efforts to keep Roberto’s talent under wraps, the Pirates recognized a potential star and acquired him. Clemente debuted as a Pirate on April 17, 1955. 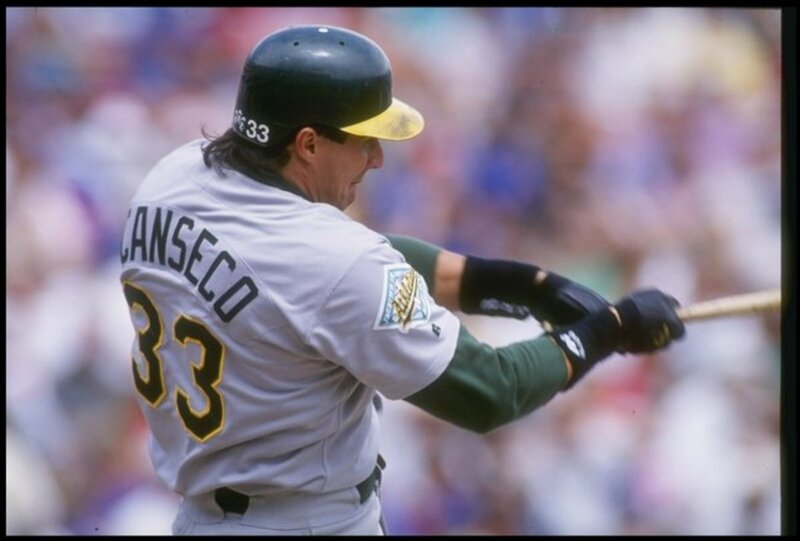 His statistics were: height 5’11,” weight 175, batted right-handed, threw right-handed, and played right field. Clemente's nickname was Arriba, an expression of elation. 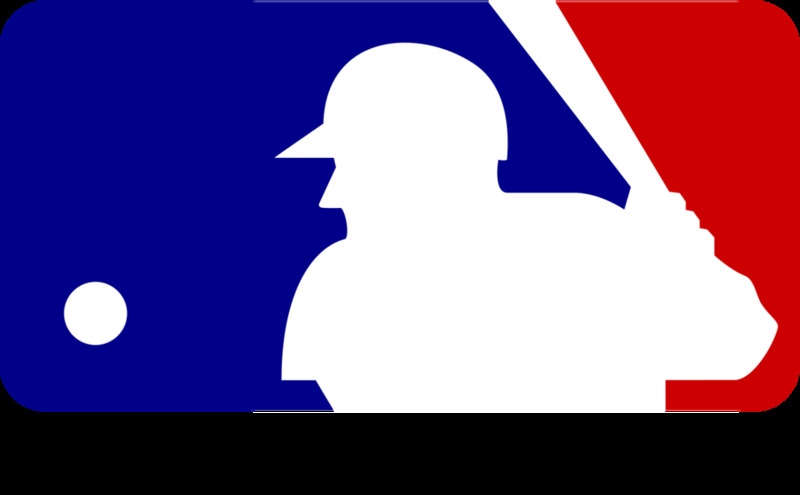 This draft by the Pirates was the beginning of a long-term relationship: Roberto stayed with them for his entire eighteen year Major League Baseball career. Although Roberto Clemente was doing wonderful things for the team, the Pittsburgh newspapers were disrespectful, if not cruel. They would mock his broken English, printing his quotes phonetically, such as writing “I heet the ball.” The papers portrayed him as a caricature of non-English speakers. In addition, the press and the public misunderstood cultural differences in expression – direct translations were inadequate to give life to Clemente’s words. His expressions of self-respect which were totally acceptable in Latino culture were misinterpreted as arrogance by the media. It is no wonder that Clemente became quite leery of interviews. 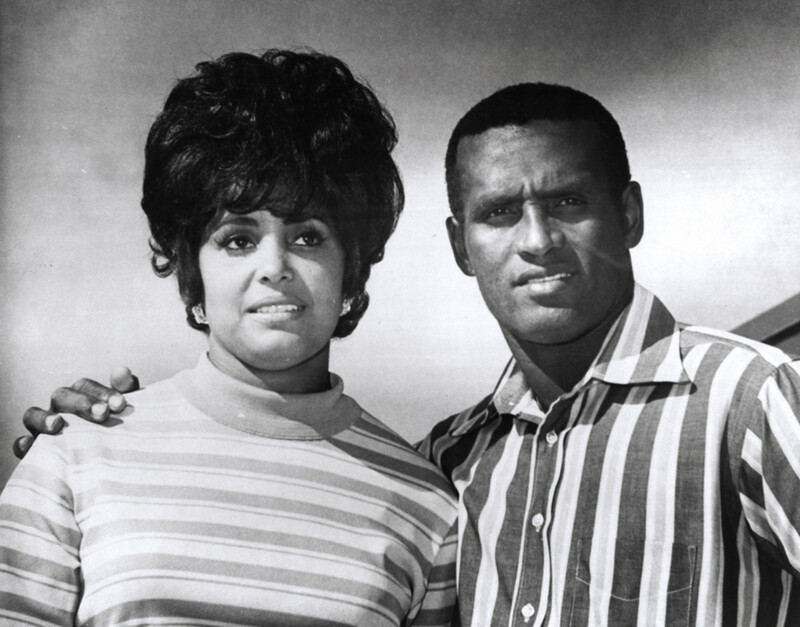 On November 14, 1964, Roberto Clemente married Vera Cristina Zabala in Carolina, Puerto Rico. 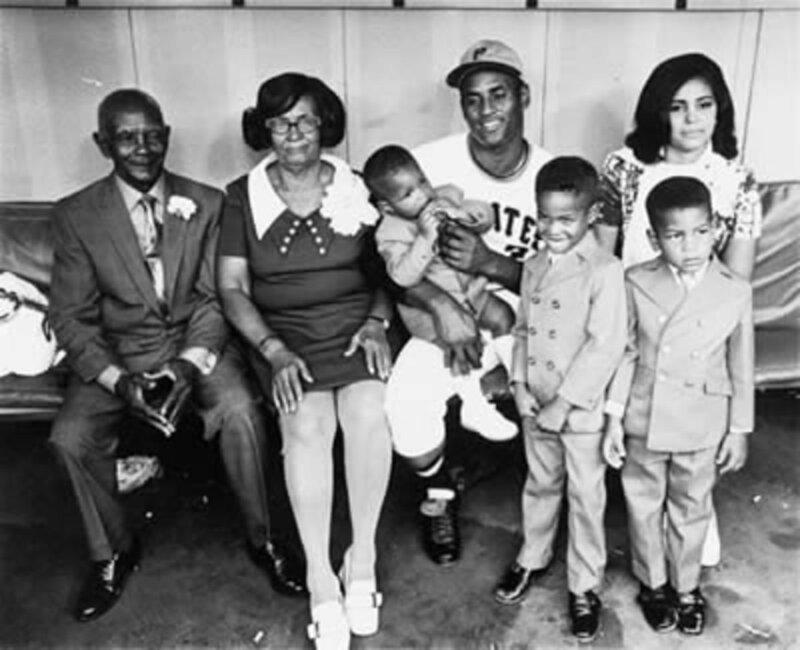 They established a home there and joyously had three sons: Roberto Clemente Jr., Luis Roberto and Roberto Enrique. Roberto was extremely proud of his national heritage and insisted that his wife Vera give birth to all three sons in Puerto Rico. Roberto Clemente came of age professionally during the 1960’s and felt the sense of the times. He was compelled to make the world a better place; it was in the fiber of his being. As he lived, his charitable energy was channeled into two focal points. One was the civil rights movement. Clemente had met Dr. Martin Luther King, Jr., an American civil rights leader. This encouraged him in his mission to help Latinos, Central Americans and Caribbean society against the prejudices of Anglo-whites, which he experienced first-hand. Roberto felt as though he had a double whammy against him because he was both black and a Spanish-speaking Puerto Rican. In addition, Clemente wanted to help children, especially those living in poverty, to have access to participate in sports. His long-term dream was to have sports fields available at no cost, no membership fees, to Puerto Ricans. He made time to hold baseball clinics for low-income children and participated in charity exhibition games. "Of the many, many people I have met in this dynamic radio and television line of work, I haven't met anybody with such incredible qualities of humanism and discipline, of being a good father, a good son. 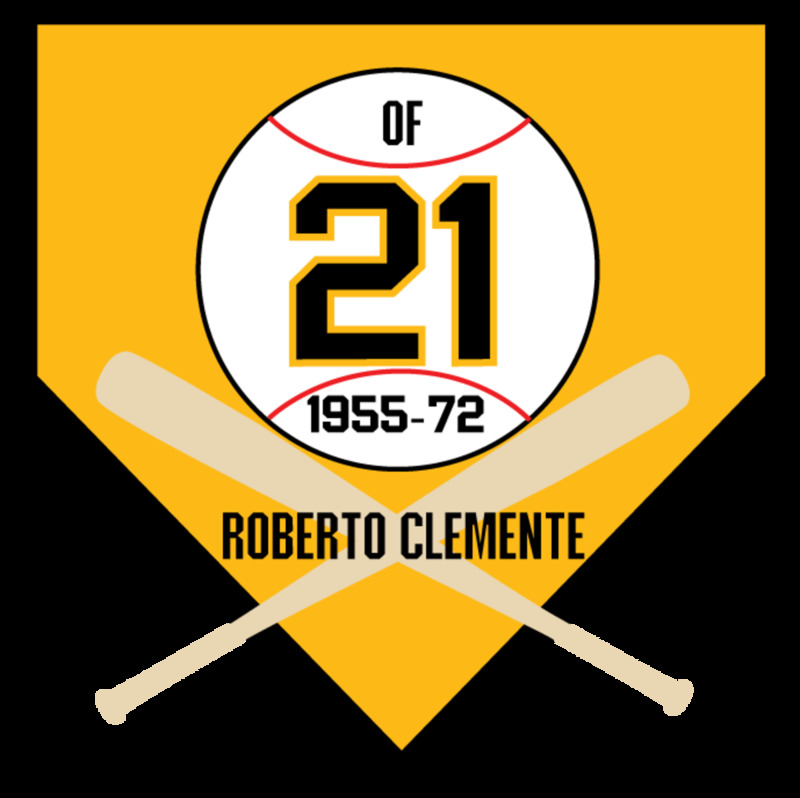 Roberto was an exemplary human being,"
As Clemente became more comfortable with his career and his place on the Pirates team, he participated in more publicly known charitable acts. In 1972, he signed on as a representative with Eastern Airlines, which enabled him to visit places of scarce economic resources throughout the United States and Latin America. In addition, Clemente agreed to participate in two film projects: one involving filming various children in Pittsburgh, and the other a tribute to the Pirates' play-by-play announcer, Bob Prince. Known for his hitting prowess and his unbelievably accurate, strong throwing arm (he could throw from the outfield all the way in to home plate), Roberto Clemente enjoyed a career with a .317 lifetime batting average and achieving an even 3,000 hits. Furthermore, he was the Pittsburgh Pirates All-Time Total Bases Leader (4,492). Pittsburgh Pirates All-Time Hits Leader (3,000). Pittsburgh Pirates All-Time At Bats Leader (9,454). 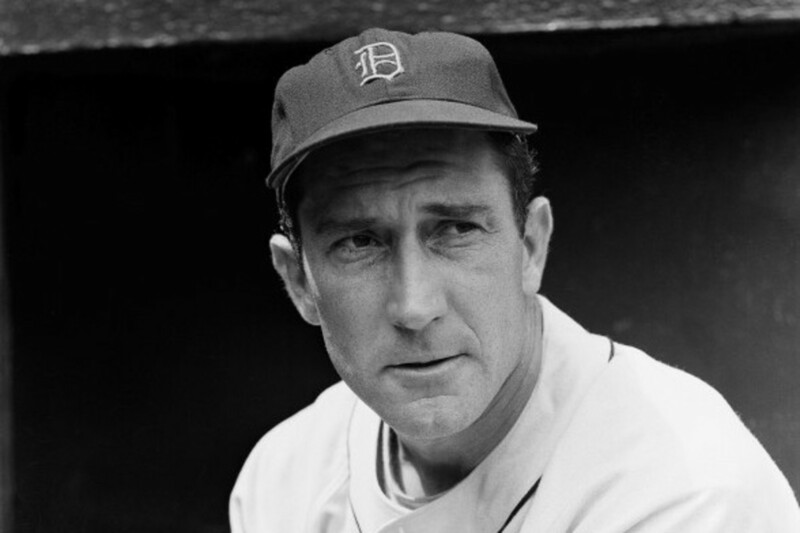 Tied with Honus Wagner as Pittsburgh Pirates All-Time Games Played Leader (2,433). 1966 National League MVP for having .317 Batting Average, .536 Slugging Percentage, 638 At Bats, 105 Runs, 202 Hits, 342 Total Bases, 31 Doubles, 11 Triples, 29 Home Runs, 119 RBI, 109 Strikeouts, 71 Extra-Base Hits and 248 Times on Base. 1971 World Series MVP for having .414 Batting Average, 2 Doubles, 1 Triple, 2 Home Runs, 4 RBI and 2 Walks. Member of 1960 and 1971 World Series Champion Pittsburgh Pirates teams. Member of 1970 and 1972 National League Eastern Division Champion Pittsburgh Pirates teams. 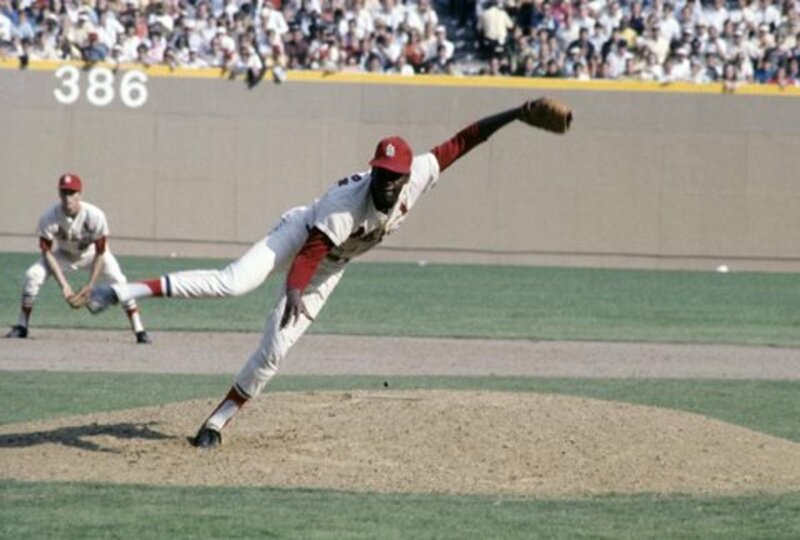 Named to 12 National League All Star Teams (1960-1967 and 1969-1972). Won 12 National League Gold Glove Awards as Outfielder (1961-1972). Inducted into the World Sports Humanitarian Hall of Fame in 1995. Roberto Clemente always felt a sense of brotherhood with his neighbors in Central America. This feeling was strengthened in October 1972, when he had managed the Puerto Rican team at the Amateur World Series held in Managua, Nicaragua. There is no question that Clemente would feel the pain of another Latin country. Around midnight on December 23, 1972, a 6.2 magnitude earthquake struck Managua. Six thousand people were killed, 20,000 were injured and around 630,000 were left homeless. The four hospitals of Managua were unserviceable, fires were rampant, and only 10% of the city’s water was accessible. Government officials of Nicaragua called out to the international community for aid. Roberto Clemente was in Puerto Rico at that time. Due to his friendship with Puerto Rican television host Luis Vigoreaux and folk singer Ruth Fernandez, Clemente was able to take to the media to call upon the generosity of the Puerto Rican people for aid to Nicaragua. They responded unstintingly. Quickly, there were rumors that three plane loads of medical, food, and clothing supplies collected by Clemente had not made it to the victims. Instead, it was whispered that the Nicaraguan National Guard was selling the relief supplies to the victims. Clemente was infuriated. A fourth plane from Puerto Rico was being loaded on New Year's Eve, December 31, 1972, and he was determined to accompany the cargo to personally see to it that the victims received the supplies. Clemente’s wife, Vera, and other friends pleaded with Roberto not to take the trip. The weather was poor, and the plane was visibly leaking oil. (Later, it was determined that it also was overloaded.) However, with the urgency of the human suffering, Roberto remained resolute. Almost immediately after take-off, the plane went down off the coast of Puerto Rico. Roberto's body was never found. His sons were ages six, five and two, respectively, when their father met his untimely death. He was age 38. When the tragic news unfolded, a three day period of mourning was declared in Puerto Rico. Now the anniversary of his birth, August 18th, has been proclaimed Roberto Clemente Day. It is not a holiday from working, as his widow Vera stated that Roberto would not have wanted that. In making the proclamation of the honor, the governor of Puerto Rico asserted, “Roberto Clemente doesn’t need laws or proclamations to be in the hearts of Puerto Ricans.” This is very true. On the rarest of occasions, the Roman Catholic Church bends its rules for recognizing a saint and creates an unusual “fast track” for an exemplary individual. For Roberto Clemente, Major League Baseball did the same thing. Clemente was inducted into baseball's Hall of Fame in 1973, months after his tragic death. He was only the second player to have the required five-year wait before eligibility waived. (The other player was Lou Gehrig.) Clemente was the first Latino player inducted. If you want to honor this man, every time you have an opportunity to improve a situation, seize it. If you don’t have such an opportunity, make one. I must confess that I wish I could travel back in time to go to a Pittsburgh Pirates game and see Roberto Clemente live. Thank you, Maria. he was a HERO in all capital letters. I was a child when Roberto Clemente's plane went down. It affected everyone in the island. Thank you for all the wonderful information on Clemente's life. Your article flows so well from one time frame to the next! Dear Victor M: Thanks for the compliment. Please cite me using the url and the date you accessed the info. You picked an excellent subject for your report! I am doing a report on Roberto Clemente. May I please use your outstanding work? jeolmoz2, He certainly was a huge hero! Roberto Clemente was Baseball’s Last True Hero!, Indeed! Thanks, swilliams. He was a very good man. This is great article on Roberto Clemente, I like the detailed information that you provided. Clemente was an inspiring baseball player, and he had a good heart. What a great way to honor a great man. Thanks for sharing. Absolutely, AliciaC. I hope to write a little more about his charitable interests. This is very interesting, Maren Morgan. I've heard of Roberto Clemente before, but I knew nothing about his life or his efforts to help others. He sounds like an interesting and kind person. The way in which he was treated by the newspapers was disgusting. What a shame that he died so young. Thanks, lions44. I was also surprised and saddened when I learned about the newspapers. It was a sign of the times, I guess. 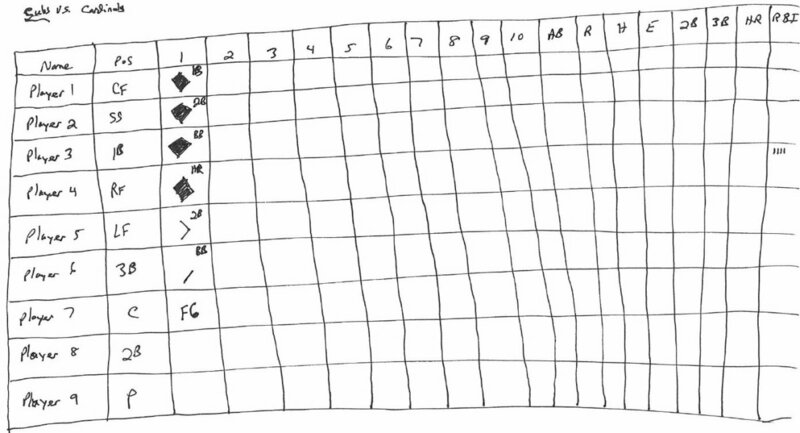 I also learned that Clemente's accomplishments may not have been as well recognized by the public as he might have liked because he was playing at the same time as Mickey Mantle, Willie Mays, and Hank Aaron. It was an era of "great ones." Great piece. Clemente is an example to follow for any young player coming up. True professional. Did not know that he was mocked by the local newspapers. Things have changed for the better. Voted up and shared.